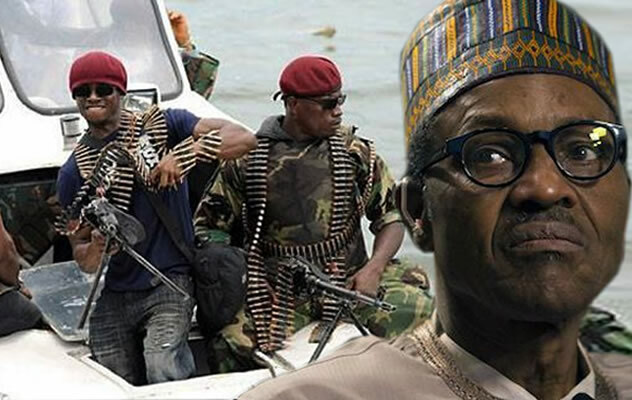 Agitators under the aegis of 21st Century Youth of Niger Delta, weekend, urged President Muhammadu Buhari to use the funds earmarked for amnesty to members of the world deadliest group, Boko Haram, to fund the Ministry of Niger Delta, Niger Delta Development Commission and other appropriate federal agencies to save the coastal communities of Niger Delta threatened by coastal erosion from extinction. The agitators in a statement by their spokesperson, W O I Izon-Ebi, said: “Recently, experts, including the Programme Director of the African Peace Building Network of Social Science and Research Council, New York, Dr. Cyril Obi, raised the alarm that coastal communities in Nigeria may soon experience violent conflict due to the rise in ocean level that could lead to flooding. “We have observed with dismay that the various federal agencies such as the Ministry of Niger Delta, NDDC and the NDBDA, have all failed in this regard because they have no single project in almost all the coastal communities. “We therefore, call on President Buhari to channel the funds that had been set aside to grant Boko Haram amnesty to adequately fund these ministries to avert these predictions and save the lives of the inhabitants of these communities.